Have you considered making Orlando in Florida the destination for your next holiday? Do you know what sort of holiday do you want: Hotel or a Private Villa Rental? If you go for the latter, then there are so many private villas in Orlando to choose from and it can be quite daunting unless you know where to look. Also, can you trust whether the villa you are looking at is genuine - All our villas & owners are fully checked out to ensure only genuine quality villas are listed on our website. You won't find any badly maintained or run-down villas on our website as we pride ourselves in only providing the best villas for our clients. 1000's OF HAPPY RENTERS COME BACK TO USE OUR WEBSITE EVERY YEAR SINCE 2002 !! We can see you now, in the evening, planning a dream holiday for your family and, maybe, some friends. Florida is by far the unanimous choice! 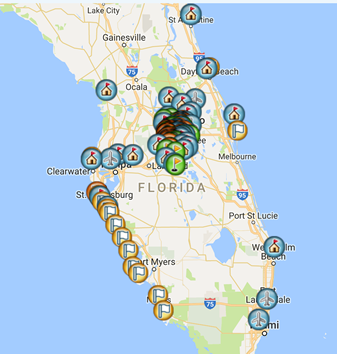 But, where in Florida? Orlando, obviously, what with Disney and Universal Studios, but that’s not the problem, is it ? Do you all stay in a hotel sharing bedrooms with the kids, or wouldn’t it make the holiday even more perfect if you found a privately owned villa to rent directly from the owner, and where the kids all have their own rooms. What if that private villa rental was not only a luxury villa but also one with its own villa pool ? You know it makes sense - rent a private villa and have a REAL stress free holiday in Florida !! 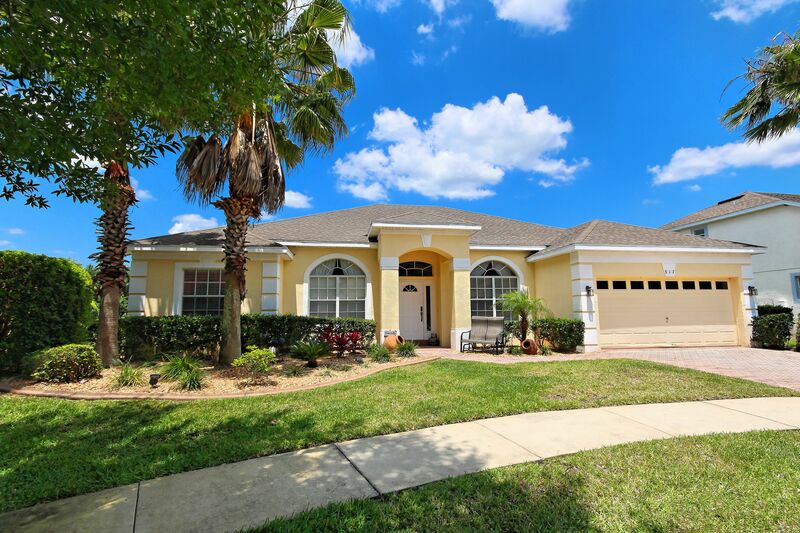 So if you are looking for a private villa rental in Orlando then you cannot go far wrong by checking out www.iwantavilla.com where you are guaranteed to find that perfect villa to rent near Disney. Did you realise that if you rented a private villa direct from the owner on Highlands Reserve that you would be right on a championship golf course, surrounded by an amazing golf course or conservation views, and yet only 10 - 15 minutes car drive from Disney ? Also, Windsor Hills and Emerald Island are literally minutes from Disney. I Want A Villa is a website uniting numerous private luxury villa owners, many of which are British villa owners, all situated on the the most popular resorts like Highlands Reserve, Champions Gate, Solterra Resort, Windsor Hills Resort, Emerald Island Resort or Watersong Resort to name a few of the amazing communities and resorts in the Disney area located in Kissimmee, Davenport or Clermont – all premium villa developments offering luxury & executive private villa rentals from genuine villa owners !! If you are keen to find a villa to rent where we could deal directly with the private villa owner, and thereby cutting out any extra agent fees - then I Want A Villa does this for you, but also gives you the opportunity to select the actual villa you are going to stay in unlike other avenues which offer you the dreaded allocation on arrival – you may get a great luxury villa but, on the other hand, you could also get a bad rental villa - rather like Russian Roulette !! Do you really want to risk your hard earned money like that ? ALL OUR VILLAS ARE FULLY VETTED ALONG WITH THEIR OWNERS TO ENSURE THAT WHICHEVER VILLA YOU CHOOSE YOU GET A GREAT VILLA EVERY TIME !! Save yourself a lot of worries and book through I Want A Villa and choose a nice luxury villa to rent from their vast collection of luxury villas, and then relax, knowing that you really have made your best efforts to guarantee your dream villa holiday will come true. You can pay securely online using our professional encrypted credit card payment portal provided through internationally renowned Stripe, so you are financially protected. To search for your perfect villa, click on this link which will take you to our accurate online search & quote facility. Our calendars are extremely accurate so what shows as available on our website....IT IS AVAILABLE - no more wasting time to find that perfect villa for your forthcoming holiday either in Kissimmee or Davenport.